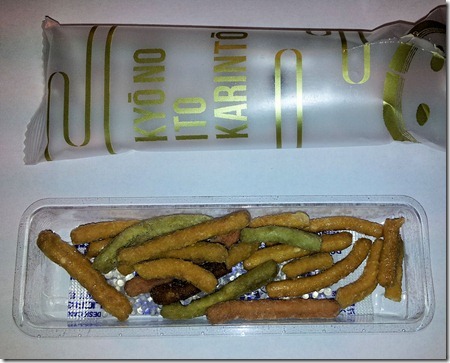 Kyono Ito Karinto – schmeckt recht lecker. Wie bei vielen japanischen Leckereien sind sie gut verpackt: Außen Kunststoff, innen ein Kunststoffschiffchen und darunter noch ein Päckchen Silica-Gel zum trocknen. This entry was posted on Sonntag, Mai 27th, 2012 at 10:30 and is filed under Japan. You can follow any responses to this entry through the RSS 2.0 feed. Both comments and pings are currently closed.